For temples in Assam, conservation of turtles is just a way of life and a kind of obeisance to god. When conversationalists are finding it hard across the world to keep alive highly endangered species of tortoises, some of the rarest species of turtles of the country, which went into verge of extinction are very much alive – in ponds within the sacred premises of Hayagriva Madhab Temple at Hajo, according to a special report by Rahul Karmakar in The Hindu. Locals regard the turtles in the pond as Kurma avatar of Lord Vishnu to whom the Hajo temple is dedicated. What’s more these rare species of hand reared turles in the temple ponds are later released into the wild wetland -their original habitat. The black softshell turtle (Nilssonia nigricans) figures in the International Union for Conservation of Nature’s (IUCN) Red List as ‘extinct in the wild’ is one such example. The report quoted Jayaditya Purkayastha of Help Earth as saying that on January 27, the environment NGO had released 35 hand-reared turtle hatchlings, including 16 black softshells, in the Haduk Beel (wetland) of Pobitora Wildlife Sanctuary. These turtles were bred in the Hayagriva Madhab temple pond. The other turtle species moved from the temple pond to the wild was Indian softshell (Nilssonia gangetica) and the peacock softshell (Nilssonia hurum). Hatchlings of the three turtle species were moved to the Assam State Zoo in Guwahati, where they were monitored for a quarantine period of 39 days, before being released into the wild. Purkayastha was further quoted as taking pride in stating that it was a milestone in Assam’s turtle conservation history. He further admitted that it would not have been possible without the interest shown by the temple authorities in the artificial breeding programme. The Forest Department and Turtle Survival Alliance provided logistical support, Purkayastha was again quoted as saying. 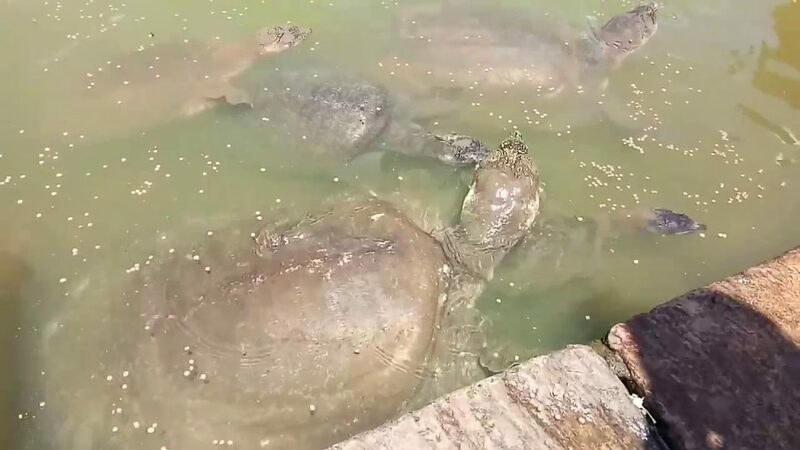 Divisional forest officer, Guwahati Wildlife Division, was quoted as saying that a certain degree of faith attached to turtles has helped them survive in the temple ponds.